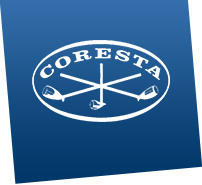 The www.coresta.org website is edited by CORESTA, an association founded in 1956, ruled by French law, promoting international cooperation in scientific research relative to tobacco and tobacco products, located 11 rue du Quatre Septembre, 75002 PARIS (France), represented by its Secretary General, Mr Pierre-Marie GUITTON. The website is developed, hosted and maintained by Mamasam, SARL with assets of 11,433€, located 48, avenue de la République, 94300 VINCENNES (France), registered at RCS CRÉTEIL on the number B 428 815 708, represented by its Managing Director, Mr Bertrand MANSION. The website, including all of its contents (databases, texts, still or animated images), are protected by the intellectual property law and notably by Articles L.112-2 ff and L.341-1 of the intellectual property code. Where the Members' password protected section is concerned, information published in this section is strictly reserved for persons with authorised access and may not to be disclosed to non-Members. Members having a specific need for this content for use in non-CORESTA activities must request prior approval by the CORESTA Board, via the General Secretariat. For individual activity within CORESTA and website access management, we collect and keep the following information. Elements marked with a * are required for this purpose. Other information is optional. We are committed to store your personal data safely and never share it with third parties for marketing purposes. However, we may need to share part of your data with other members and partners when necessary for the purposes of our activity, the organization of events, administrative and legal requirements, and security reasons. To have access to, update or delete any of this information, click here.